Every once in a while you stumble onto a piece of gear that is so crazy powerful you just lust after it, even if its capabilities far exceeds your needs. I myself do it often with cameras, TVs, and cars. However, this time it was a hard drive that caught my eye. 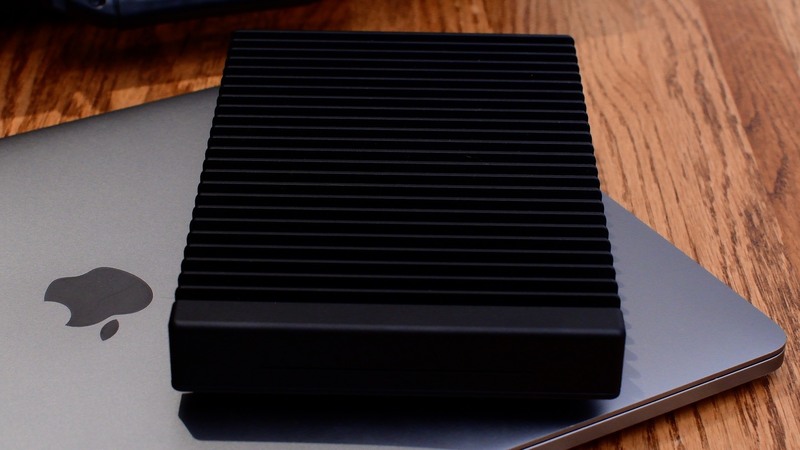 Ahead of CES, OWC has announced the release of the Thunderblade V4, an external drive so powerful it makes file transfer times largely a thing of the past. We were lucky enough to get a early look at this beastly drive, and put it through its paces. Of course, I did so with a characteristic video. After you’ve checked out the video, let’s delve into what makes this drive so powerful. Basics first. 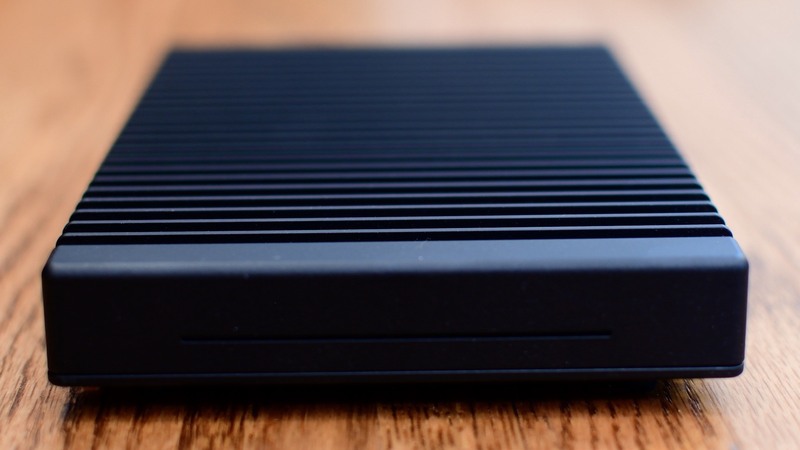 This is a Thunderbolt 3 solid state external drive. 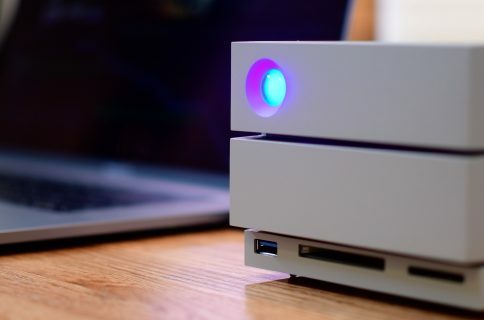 It comes in capacities ranging from 1 to 8 TB. 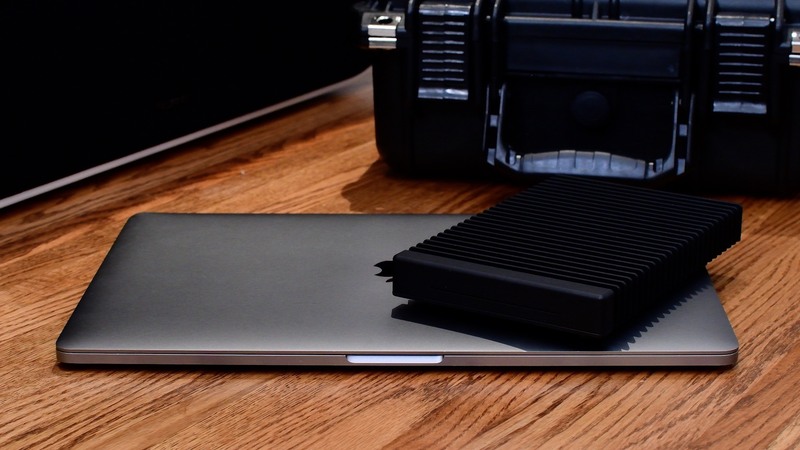 It has an ultra rugged exterior made of machined aluminum that not only protects against drops, but is its own heat sink. Creating a 100% silent and fanless design. As it is aimed at media professionals who often take their drives out in the field, it comes in a “ballistic hard-shell case.” Inside is easily enough room for the drive, and all the cables to go along with. On the back is a spot to affix the power cable, as well as dual Thunderbolt 3 ports. Two ports is ideal, because it easily allows you to daisy chain the drive with others in your workflow. There is a subtle status light on the front, that is dimmable so it won’t be too bright as to distract you. Performance wise, it is pretty stellar. 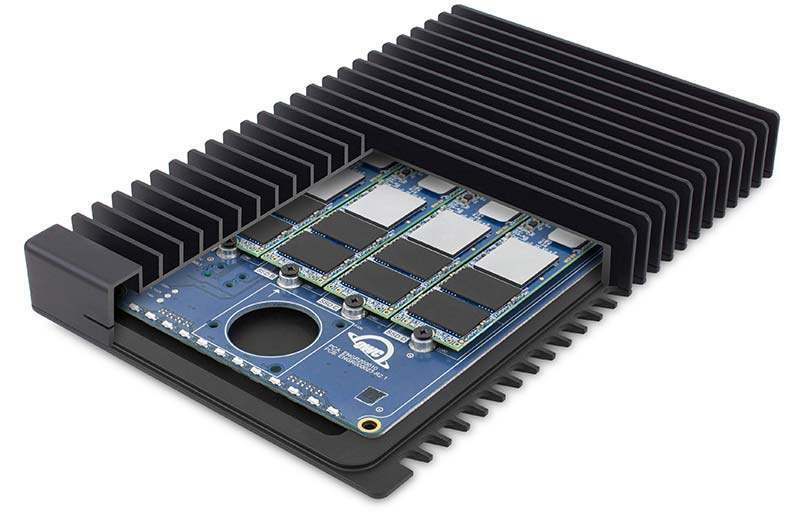 OWC says it is capable of speeds up to 2800MB/s read and 2450MB/s write. In my own tests using the BlackMagic Disk Speed Test, I was able to consistently achieve more than 2200 MB/s of write speed. Compared to the other fastest drives, this blows them away. LaCie’s Bolt 3 is only capable of up to 1300MB/s write speed, and the Glyph Atom we reviewed is capable of 860MB/s. My real-world speeds are faster than the maximum speeds promised by other manufacturers. What do all those numbers equate to in real-world use? Well, as you saw in my video, I transferred a 2.5GB file, in a matter of 1-2 seconds. If you happen to pick up a second Thunderblade V4, you can use software to create a single RAID drive with up to 3800MB/s in performance. So why is this drive so quick? What makes it different than the others? Well, it all has to do with what is inside. There are four Samsung M.2 SSD blades installed inside, which were quick enough on their own. Together, it gives unparalleled performance. The reality is, just like 8K cameras, sports cars, and 70″ 8K TVs, most people probably don’t need the specs the Thunderblade V4 delivers. 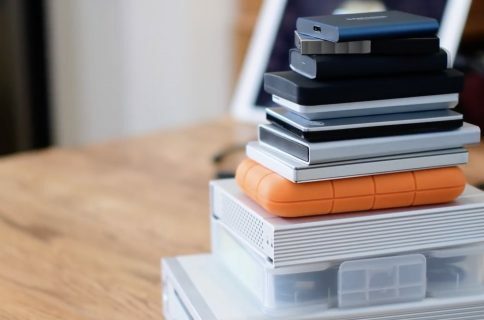 Unless you are in the media, video production, or other storage-reliant industry, you won’t be dealing with the amount of files this drive is made for. You may want one, sure. I mean, who wouldn’t? But the price alone sets this out of reach for the casual user. I’ve tested many, many drives over the years, but I’ve never found a drive quite as powerful as this one. 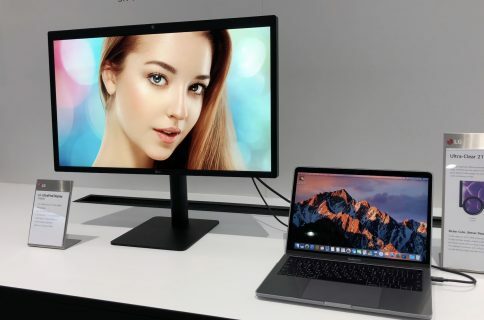 It Is an added bonus they include a rugged travel case and a Thunderbolt 3 cable, but considering the price, I’d hope they would. Photographers, videographers, filmakers, and others will likely find a drive like this indispensable. Others will just see it as an exceptionally nice piece of hardware, and some added clout to the OWC brand. If the Thunderblade V4 is more than you need, they have a wide variety of other drives that will do just fine. You can learn more about the Thunderblade V4, over on their website. 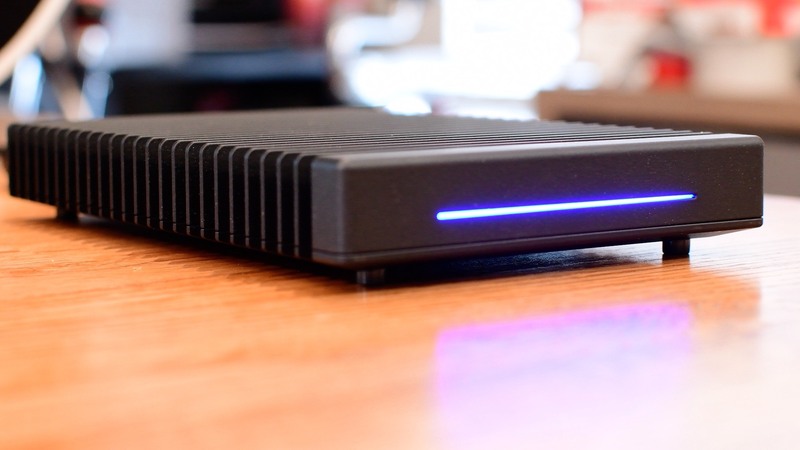 They are available in configurations of 1 – 8 TB, and will run you $1,199 to $4,999. 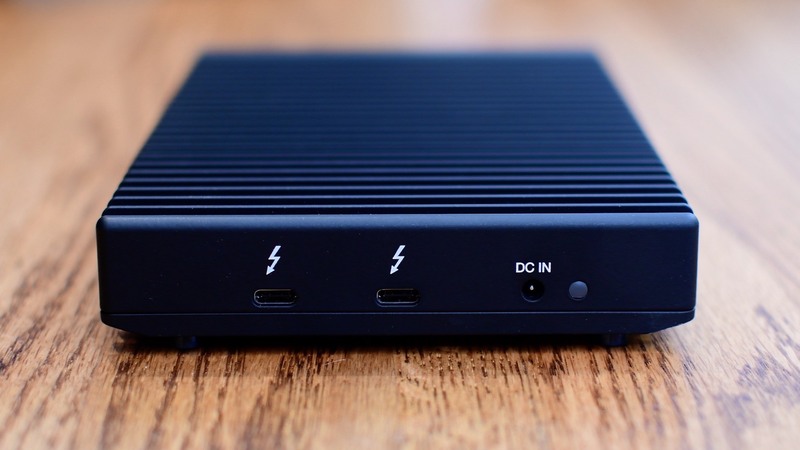 Let me know what you think of this Thunderbolt 3 SSD down in the comments.